ST. GEORGE — What was once a shelter for battered women 25 years ago has blossomed into an organization brimming with volunteers, victim advocates, counseling, support groups, transitional housing and more. “We owe our birth, our development and our growth to the unflagging support of this community, and for that, we are eternally grateful,” said Ruth Weniger, president of the board of directors for the center. The Dove Center, known as the Dove House 25 years ago, was created for the purpose of providing a safe place for people to safely escape domestic violence. Sheila Curl, a founding member of the center, had a career in nursing and helped victims of crime. She told St. George News that 80 percent of the work she did was helping abused women. “I said, ‘We desperately need a shelter for women,'” she said, adding that once the Dove House was created, volunteers would take in two to three women, along with their children, per week. Now, the Dove Center has made monumental steps in growing its services, including adding a second location in 2010 for outreach, merging with the Erin Kimball Memorial Foundation in 2017 to provide transitional housing and developing a Safe Pets Program in 2017, where pet shelter assistance is offered so families in domestic violence situations don’t have to leave their pets behind. 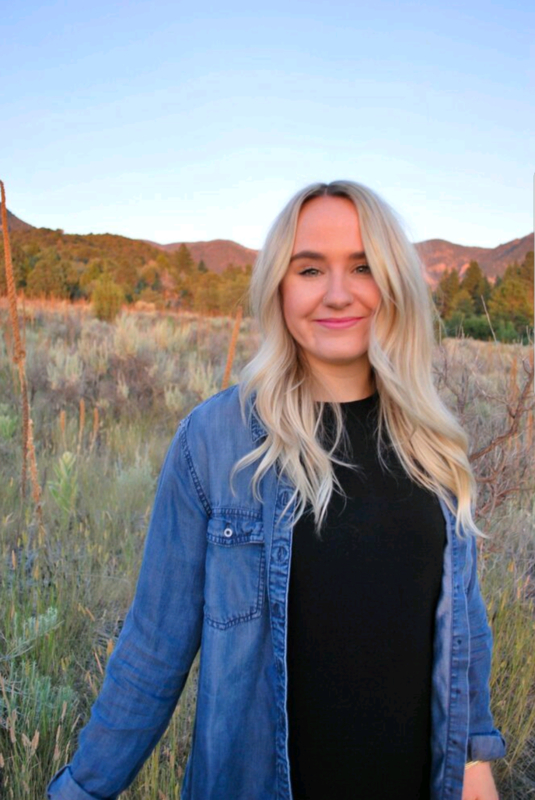 Communications Manager Leanna Bergeron said only 4 percent of domestic violence shelters have a program for pets, adding that the center has already helped nine households with the program since its creation. The center currently has more than 30 employees and 90 volunteers. Besides celebrating the center’s anniversary, more than 200 people filled the Sun River Community Center Ballroom to enjoy a night of fundraising, food and entertainment. The Dove Center calculated more than $122,000 in funding from sponsorships, ticket sales and the event at the end of the night. 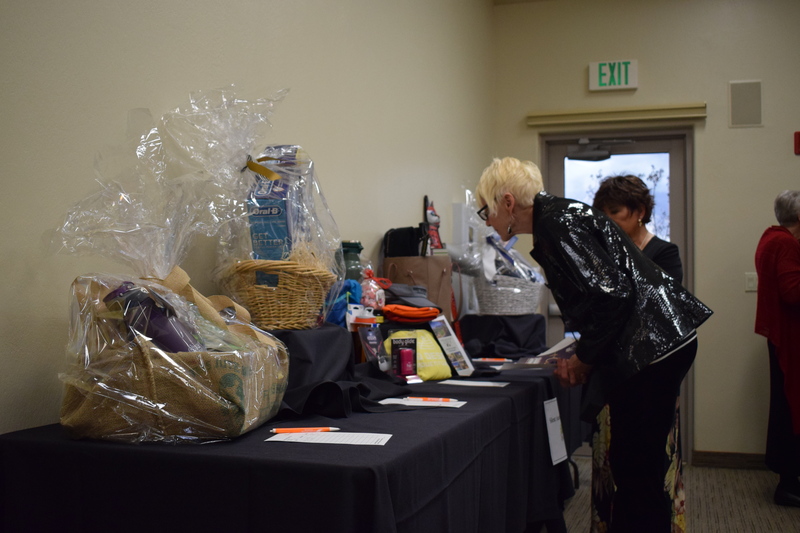 During the gala’s “Fund-A-Need” auction, bidders had the opportunity to donate $1,000, which provides three months of trauma-informed counseling for a survivor; $500, which provides one household one month in transitional housing; $250, which provides one month of weekly support groups; $100, which amounts to one day at the emergency shelter; or $50, which helps cover animal care and lodging for pets. 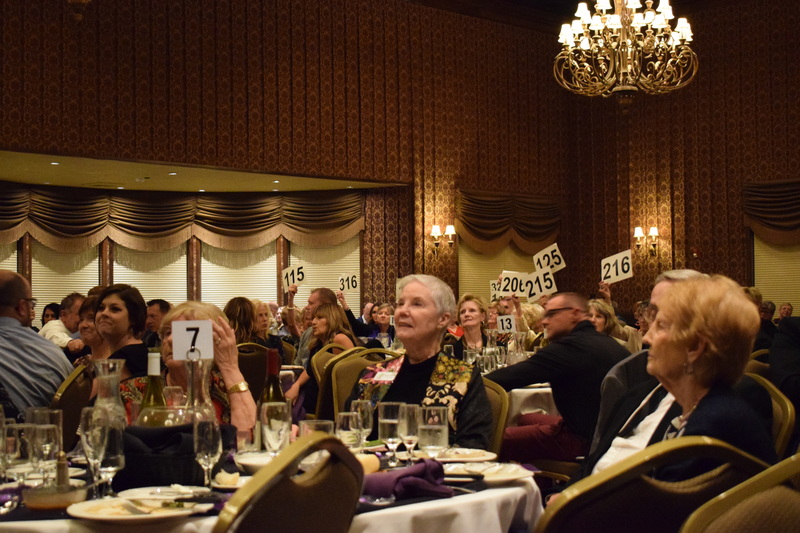 The room erupted with applause as 15 people held up their bidding numbers to donate $1,000. 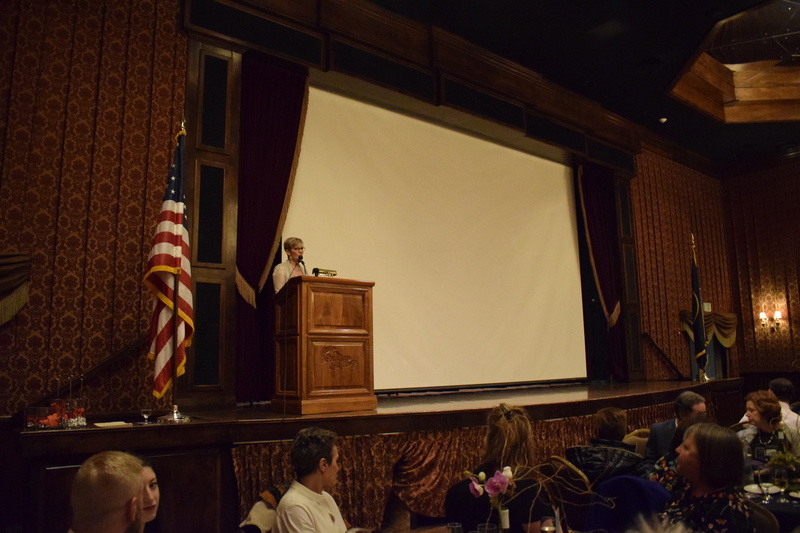 “The best part was looking around the room during Fund-A-Need and seeing so many bidder cards going up over and over,” Executive Director Lindsey Boyer told St. George News after the gala. The Marvelous Wonderettes from the St. George Musical Theater provided entertainment for the evening, as they sang songs from the ’50s and ’60s. A special video presentation was also shown to celebrate the center’s anniversary, where survivors shared how the center helped them when they needed it the most. The video, which is planned to be released to the public next week, also featured words of gratitude for the center’s staff and community partners, such as local law enforcement, members of the media, government officials and hospital staff.